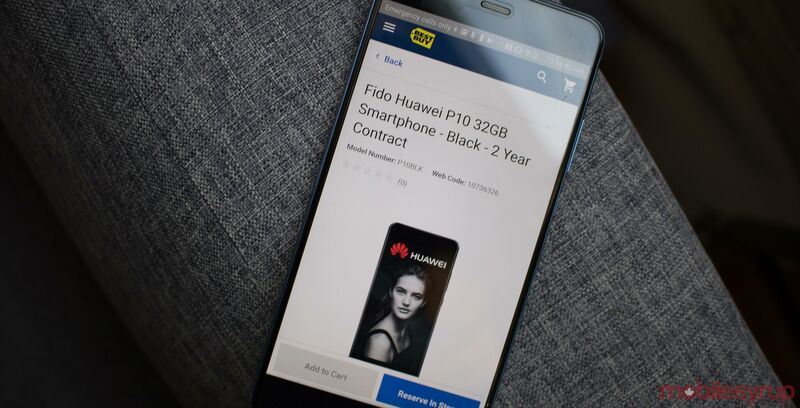 Best Buy Canada is following suit with its U.S. counterpart and will no longer sell Huawei products, according to information obtained by MobileSyrup. U.S. Best Buy locations will stop selling Huawei devices over the course of the next few weeks, according to reports from Reuters and CNET. Presumably, Best Buy Canada will adhere to a similar timeline. Reuters and CNET both cited tensions between the Chinese tech giant and the U.S. government over security and trade concerns as the reason for Best Buy choosing to stop stocking Huawei products. Those concerns have so far resulted in major U.S. carriers like AT&T cutting ties with Huawei, which not only sells devices but is also one of the largest telecom infrastructure companies in the world. The Canadian government and carriers have raised no such flags, however, so Best Buy Canada ceasing to carry Huawei devices will mark the first time the U.S. scandal has affected a tangible change in markets north of the border. Recently, Huawei came under fire in a Globe and Mail report that featured interviews with several former Canadian security officials who expressed concerns with the company’s role in the development of Canada’s 5G networks. Meanwhile, Huawei asserted that its prospects in Canada wouldn’t be strongly diminished. Still, Best Buy refusing to stock Huawei products will shut down a retail path for Canadian carrier partners when the Huawei P20 eventually hits the market. Bell, Rogers and Fido all currently sell the Huawei P10 through Best Buy Canada.